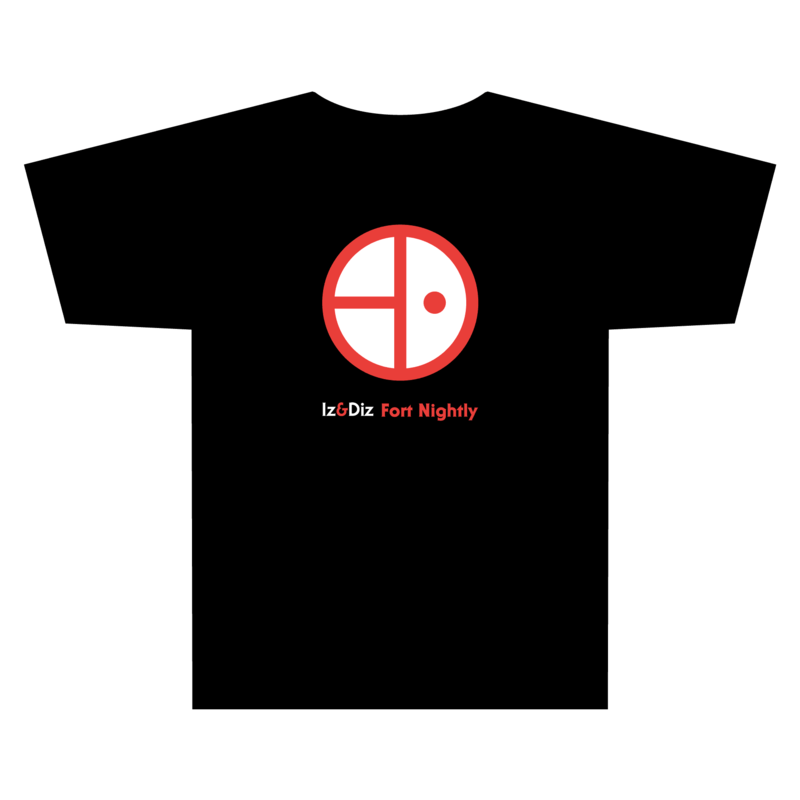 Iz & Diz Fort Nightly logo on black Hanes Nano-T® T-shirt. 100% pre-shrunk cotton. 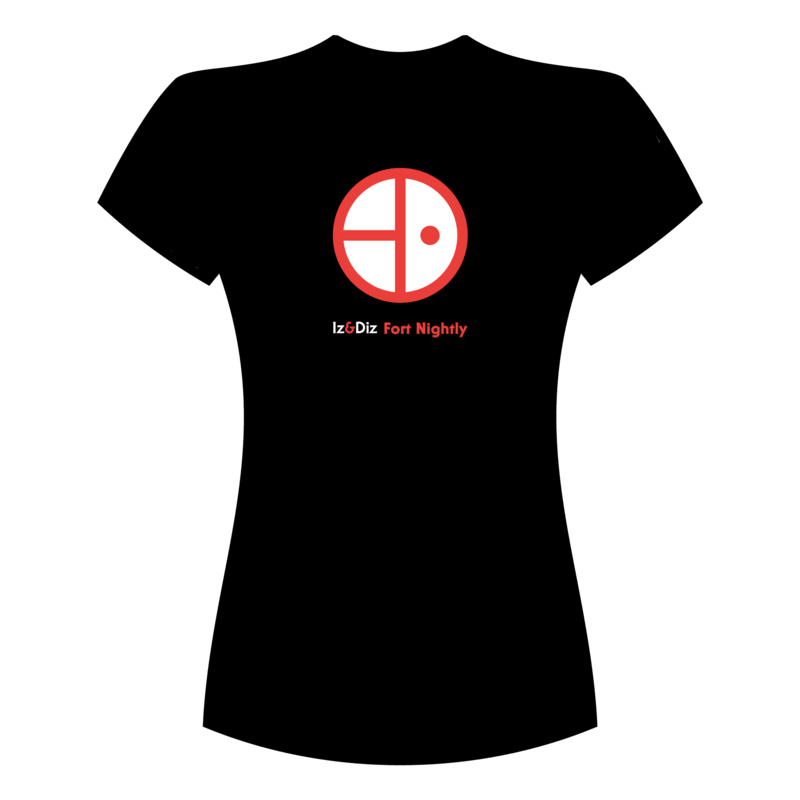 Available in Women’s small or medium.